He went to His aunt's place with His siblings, like He did each year at that time of the year. His wife was angry that He did not take Her with Him. She followed His path and damaged His chariot and returned to their home..
After enjoying His Jatra (Yatra- journey/travel/trip) with His siblings, He returned home. His wife let His elder brother and sister enter the gate, but did not let Him enter. She was raspy and said- NO! He tried reasoning with Her and answered Her queries. Next, to placate Her, He offered Her some delicious sweets named Rasagolas. Understanding was established between husband and wife and finally He earned Her permission for His "sweet" entry to their home! His wife said a sweet YES! Note-The above refers to just two of the innumerable Vantage Points of Lord Jagannath of Puri, Odisha, India. Ratha Jatra is the annual car-festival of Lord Jagannath & His siblings. Lord Jagannath loves to go on His Ratha Jatra outing. In this special year of the Nabakalebara, Ratha Jatra will be celebrated on July 18th 2015. Some more info about Ratha Jatra here. Niladri Bije is the concluding day of the Ratha Jatra when the Lords return to their abode. This year it will be celebrated on July 30th 2015. Yes, Lord Jagannath has been feeding Rasagolas for many centuries to appease His wife- Goddess Maa Lakshmi! Lesson for us- if you love someone, offer them something that they love! Did you know that Odisha is the birthplace of the Rasagola? This July 30th, do join in to celebrate the first #RasagolaDibasa, a day to celebrate with Rasagolas, along with the Gods! 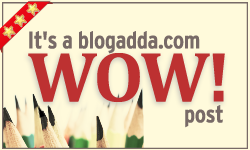 What a lovely and creative way to write about this special yatra of the Lord! Enjoyed it very much. Roger, you must taste Rasagolas :) Ready to eat & sweet talk! I had no idea about the festival or the legend behind it :) Interesting. Glad that now you know, Vinay! Our India is such a vast country with a rich culture & such incredible festivals like the Rath Yatra. Sadly, many aren't aware of them. Also, many don't know the reality viz. 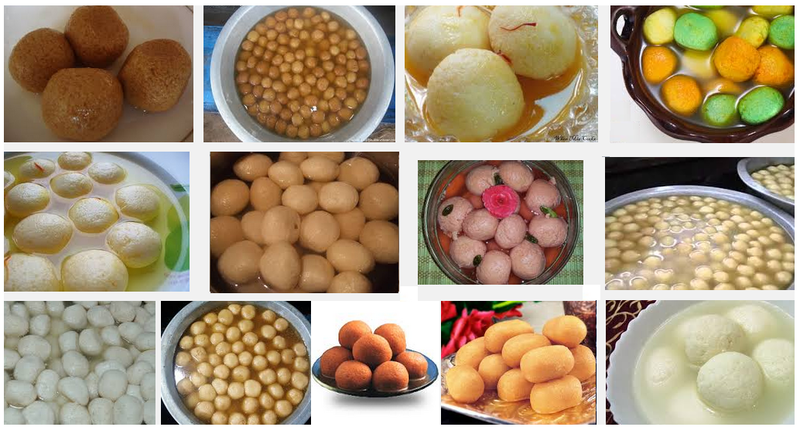 the popular sweet Rasagola's birthplace is Odisha. Is there a custom of offering rosagollas after the yatra as prasad? Really creative to link the subject! and I specially liked the capital 'He'! Indeed. It's a centuries-old custom. On the concluding day of the Rath Yara i.e. on Niladri Bije, Lord Jagannath offers Rasagolas to placate MaaLakshmi & to gain entry inside the Temple premises. The capital 'He' refers to the Lord of the Universe- Shri Jagannath. Rosagulla is my all time favourite. My nani lived in sambalpur, we used to relish rosagulla during our summer vacation their. That taste is hard to find any where even in Delhi. Truly Swati. I love Rasagolas too. He & She as they are our Gods. The world is yet to discover, taste & experience the authentic & original Rasagolas hailing from Odisha- the birthplace of Rasagolas! Thanks for the appreciation, Vishal. Lord Jagannath & Maa Laxmi get the credit as they have many such interesting tales. Very sweet information. Dint know the story of Rosogullas before. Interesting and informative. Btw next month im visiting to Puri. Cud u suggest me some good and best Sweets shop of Puri where i can relish Rosogullas? Thanx! Happy that I was able to share about the Rasagola ritual in Puri Temple, Odisha. Great that you'll be visiting. Also try the Rasagolas at Chandanpur - a place near Puri. Do plan to visit Bhubaneswar. Many renowned shops here. You can also visit places like Pahala & Salepur. We should start Rasagola Tours in Odisha that take Rasagola-lover-tourists to all the famous Rasagola places in Odisha! Too many!!! Niladri Bije is the last day of the Rath Yatra. I just presented Lord Jagannath Temple's ritual. Thanks for your wishes. What a sweet way to showcase the Rath Yatra. I have to see it at least once. You are most welcome to visit Odisha for the world-famous Rath Yatra. It's a grand experience. Happy roshogolla divas! A new concept! Loved reading the sweet story! Happy Rasagola Dibasa to you as well, Indrani! Let us all celebrate with Rasagolas & spread the sweetness! Sweet story with an interesting and creative concept.Great talent Anita ji. Lord Jaganath gets the story credit as it's His true story. That was really a very interesting and creative way of narrating the story behind Lord Jagannathji's yatra, Anita - I LOVED it! Thank you for your lovely words, Arti! Interesting... very sweet story. Happy Rasogolla Diwas ( in advance :), Anita! Is the story true for both yatra and rasogullas? And are you taking part in yatra? 100% true story very much in practice every year on the last day of the Rath Yatra. Sadly, many don't know about this centuries-old ritual where Lord Jagannath offers Rasagolas to His wife- Maa Laxmi. You can view the Niladri Bije ritual LIVE in an Odia TV-News-channel on July 30 evening this year. I feel blessed as I took part in the Bahuda Yatra on July 26 this year. Experienced the great energy while the Raths were being pulled.